I love getting into the kitchen and getting creative with ingredients and recipes. 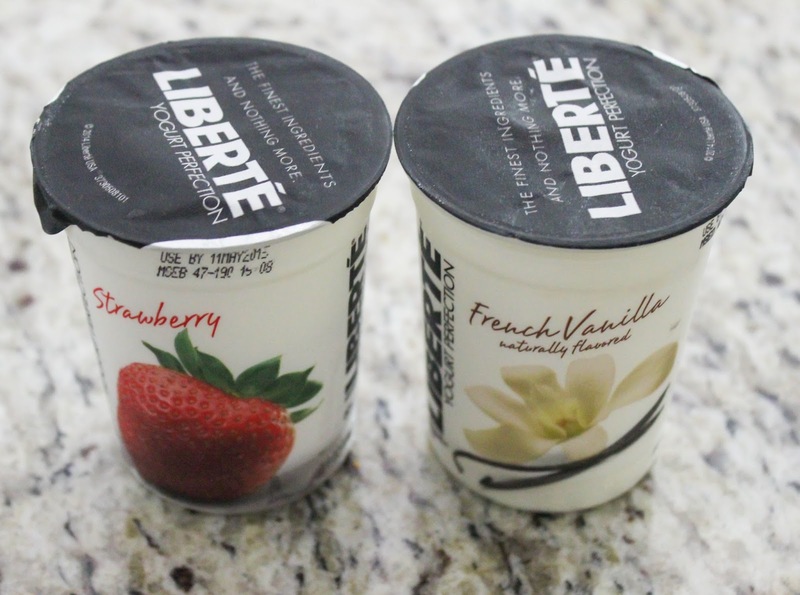 When I saw Liberté® Méditerranée® Strawberry and French Vanilla yogurts sitting side by side at Publix last night a recipe idea popped into my head and I knew that I had to go home and try it. It was a good great idea. If you like strawberry shortcake you really must try these bars. They are moist, smooth and the perfect strawberry and cream flavor while still being light and airy. Everyone in my family gobbled them up and I can not wait to make more. To help get you started on this recipe make sure you head to Publix and use the Liberté® Méditerranée® coupon! Preheat oven to 375 degrees Fahrenheit. Grease large baking dish. Cream butter and baking blend in a stand mixer with paddle attachment until smooth. Add yogurt and egg and mix another 2 minutes or until smooth and well mixed. Add flour, salt, baking soda, and baking powder one by one to the mixture and continue mixing another 2 minutes. Pour batter into baking dish and smooth with a spatula. Place dish in preheated oven. 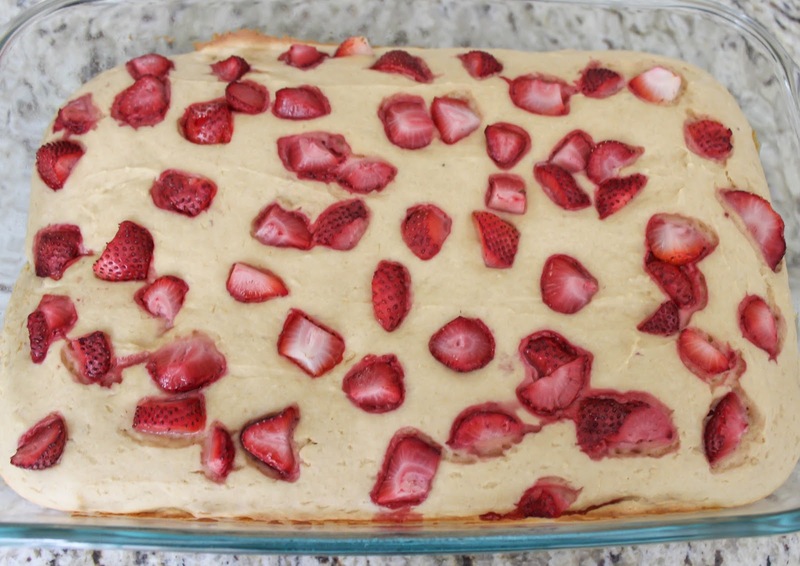 After 10 minutes remove from oven and add sliced strawberries to top. Return dish to oven for another 20 minutes (bakes for 30 minutes total) or until golden brown on sides and bottom. Remove from oven and allow to cool before serving. In case you haven’t heard of Liberté® Méditerranée® yogurts here’s the deal: whole milk yogurt that comes in nine delicious flavors made with only the highest quality ingredients. It’s serious yum in your mouth. Don’t forget to check out these Publix coupons including one for Liberté® Méditerranée! And now who wants $15 to go get the ingredients and try out this recipe for yourself? One lucky winner will get $!5 cash that they can use for this, or anything else that they want. 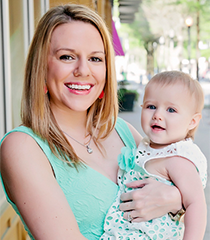 Make sure you are following me on facebook for the winner’s announcement! US only 18+ to win! The Peach and Passion Mango sounds amazing! I like blueberry, I think they look real good. I think that Liberte's yogurt would be a healthy snack. I would like to try Liberte Yogurt's Méditerranée Blueberry flavor. The flavors look delicious and I want to try the coconut flavor. 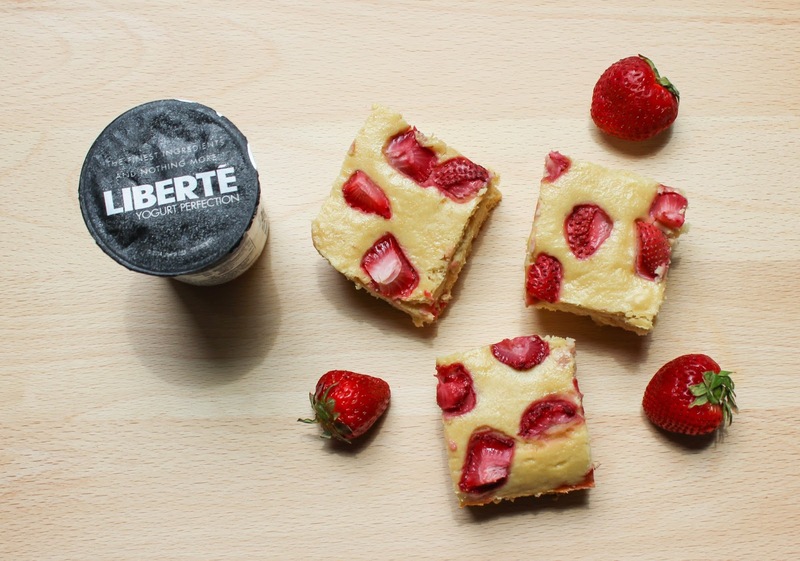 I've tried Liberte before and it's so good! I like the Méditerranée Blackberry flavor. It sounds good. I would love to try Peach and Passion Fruit. They all sound amazing, but would love to try the blueberry flavor! I would like to try the peach and blueberry flavors. These look good. I would like to try blackberry. I like that there is no gelatin or preservatives. I would like the coconut. I love coconut flavored anything! I love the range of flavor options, and my first choice would be either the Caramel or the Coconut! This looks incredibly tasty and actually healthier than alternatives! I like that they don't add artificial sweetener. I would like to try the coconut. I would love to try their strawberry flavor! 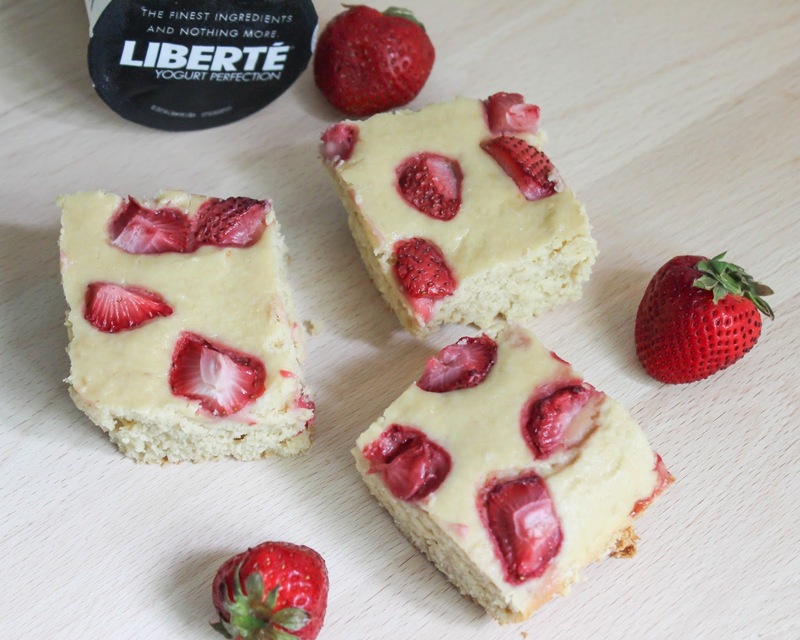 Liberte yogurt is my favorite yogurt, it has a great consistency and flavor. I want to try the Méditerranée Caramel. I'd love to try the coconut one! It looks so good and healthy. I think it sounds great and I want to try the wild blueberry! They all look so tasty! I would love to try the passion fruit one! I like that they "refrain from adding gelatin, sugar substitutes or preservatives." I most want to try Méditerranée Blueberry. I really love that they have been making yogurt since 1964! The flavor I would want to try first is the Méditerranée Caramel!! Although they all look so good! try Peach and Passion Fruit. I love that they refrain from adding gelatin, sugar substitutes or preservatives in their yogurt! The flavor I most want to try is the peach and passion fruit. I love anything coffee flavored so I'd love to try the cappuccino! I love Liberté® Méditerranée yogurts offer different flavors, I especially like to try caramel one. The French Vanilla Liberte yogurt sounds interesting. I think it sounds fantastic…I want to try french vanilla. It looks good and I want to try the blueberry first. They look really good. I would like to try the Peach. I'd love to try the Orange Mango but I just wish they would get ANY flavor of this back at HEB. It's my favorite yogurt. I think the cappuccino flavor would be best. I like that Liberté Méditerranée does not add sugar substitutes or preservatives to their products. I would love to try the Méditerranée Cappuccino flavor. I would love to try the Méditerranée Blueberry. They look great! I'd like to try out some recipes using them..esp the Méditerranée Cappuccino flavor! From what I can see, looks like a very rich and tasty yogurt. I would like to try the Méditerranée Caramel. they look delicious. i want to try the strawberry! They look good I want to try the strawberry flavor. 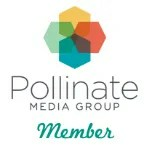 They have interesting flavors and I would love to try the Méditerranée Blueberry. I have always heard such great things about this yogurt. I would love to try the coconut flavor and add in fresh strawberries! I love that they refrain from adding preservatives! We love these, our fave so far is the wild blueberry. I don't really have any thoughts about this yogurt, since it is the first information I have seen on it. I would probably try the blueberry variety first. I have three favorites – cappaccino, coconut and peach (with passion fruit). There's no way I could pick one over the other. I would love to try the coconut flavor. These yogurts look delicious! I think I would choose the coconut one to try first as it is one of my favorite flavors! I would love to try Méditerranée Caramel. Yummy! They sound delicious. I would love to try the blackberry flavor. Thank You for the giveaway…we like to toss in a container of the Méditerranée Coconut when making smoothies.